I recently attended the annual fundraising banquet for a local chapter of a well-known, national nonprofit organization. The event was held at a very classy restaurant on the water and attendees were certainly dressed to the nines: from floor-length gowns to cocktail dresses to tuxedos – there was definitely an atmosphere of elegance. So you can imagine my shock when this lovely, enjoyable evening was marred by – of all people – the master of ceremonies (MC). This isn’t just any person. This is the individual who helps set the tone for an event and, whether you realize it or not, is inadvertently a representation of your organization when performing their duties. They have the power to affect the mood and perception of the event with their personality and professionalism. At first, nothing seemed out of the ordinary about this MC. He was dressed very appropriately in a nice suit and bow tie. He had thoughtful introductions for each speaker as each one prepared to approach the lectern. But then it took a weird turn. When one speaker left the floor, the MC resumed his post at the lectern to transition us to the next item on the agenda. After he said a few words, he told a joke. It didn’t have anything to do with the event or anyone from the organization, so it seemed like it came from left field. But ok, no big deal – there were some laughs from the audience. Then he told another joke. Polite laughter. And then he told another…and another joke…and they got raunchier each time. At this point, it was clear things were going downhill very fast. I looked around the room and saw quite a few uncomfortable faces and still heard a few forced laughs. The worst part? There were children present! I kept wondering if the organizers were re-thinking their choice of MC at this moment. A good sense of humor is an important, necessary quality. Putting people at ease and keeping things light-hearted create a positive, entertaining environment. Forcing humor is never a good idea. It comes across as very unnatural, and is…not funny. Instead, try to shed light on and leverage amusing moments that happen during the event, poke fun at yourself a little, or lace some humor in the speaker introductions – especially if you personally know the speaker. Extemporaneous humor is natural and goes a long way! Avoid ANY vulgar or remotely sexually explicit humor. I know this seems like a no-brainer, but it wasn’t obvious to the MC at this event. You could turn potential donors off and risk your own reputation. Know your audience. Speakers know they have to do their research on who they will be speaking in front of, and this also applies to the MC. 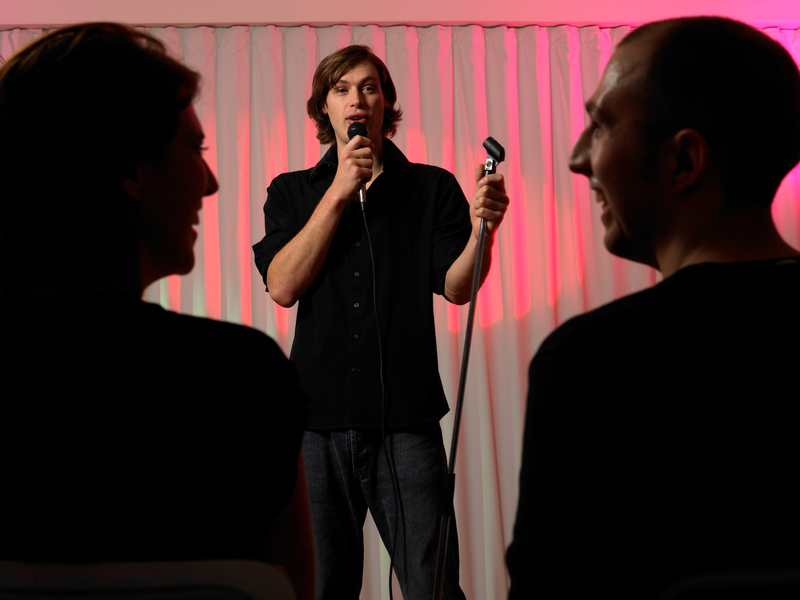 Humor can help establish a rapport with the audience, but you have to understand who they are first to have a good idea of what kind of funny material will work well. Being an MC is about more than just introducing speakers and keeping the agenda moving seamlessly. You can help make or break an event by the impression you leave the audience with. Always aim to leave on a high note. Oh, and did I mention this raunchy MC was a pastor? Let me know what else you would add to this list! Are you laying the foundation?